BlackBerry Storm 9570 cancelled on all carriers?! "Thank you for your hard work and diligence in preparing your application to support the upcoming hardware refresh of the BlackBerry Storm2 smartphone (model number 9570, codename R027). Regrettably, RIM has decided not to pursue this device further and has ended the program. 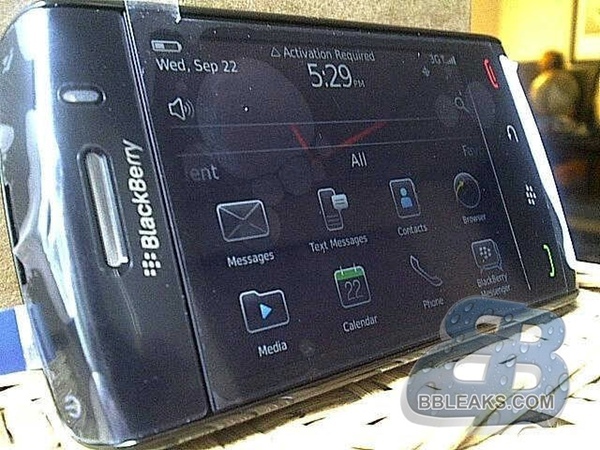 However, rest assured that you will have the opportunity to leverage the work you’ve put in thus far in preparing for the new OS, as BlackBerry 6 will be making its way to more Verizon products in the near future, including the BlackBerry Bold 9650 and the BlackBerry Curve 9330"
Sounds legit right? In all honesty, the "refresh" made no sense anyways. Adding a 5MP camera and a bit more RAM to the exact same form factor as the Storm 2 just didn't seem right. Of course, I guess the same could be said about the BlackBerry Bold 9780 as well. Anyone out there really disappointed if this turns out to be more then a rumor? The best I can say about the whole situation is that I hope the rumored Hotspot feature didn't die with the BlackBerry Storm 9570 and that we'll see it arrive later as an addon to the BlackBerry platform.